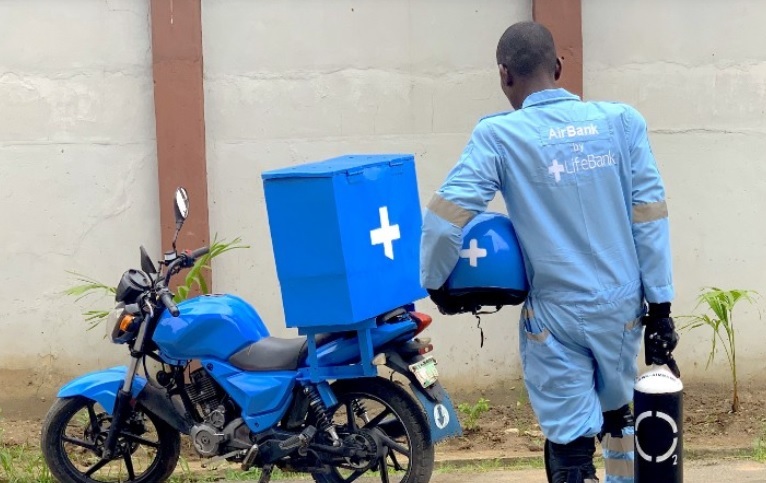 Nigerian e-health startup LifeBank has expanded its product offering with the launch of AirBank, an emergency medical oxygen delivery service. Founded in 2016, the Lagos-based LifeBank offers an online platform that connects hospitals with blood banks, and blood banks with donors. Hospitals can request the blood they need, with the startup delivering the requested blood in less than 45 minutes, in a WHO Blood Transfusion Safety compliant cold chain. Founder Temie Giwa-Tubosun told Disrupt Africa earlier this month the startup would soon be adding other essential medical products to its platform, and it has now begun that process with the launch of AirBank, an on-demand emergency medical oxygen delivery product it says is the quickest, most convenient, and most cost effective way to order medical oxygen in cylinders. In a bid to reduce Nigeria’s child mortality rate caused by limited access to oxygen, AirBank allows hospitals and patients to call LifeBank at any time of the day to request emergency medical oxygen, and have it delivered in less than 50 minutes. Other medical products like vaccines and rare drugs will also soon be available via LifeBank, which was incubated at Co-Creation Hub (CcHub) in 2016, has raised a funding round led by EchoVC Partners, and took part in Merck’s Lagos-based satellite accelerator and the MIT Solver Class this year. Since inception, LifeBank has moved almost 11,000 products, and worked with over 400 hospitals to save over 2,100 lives. More than 6,300 people are registered as voluntary blood donors on its platform, over 20 per cent of whom have donated blood in the past two years.